There is a certain irony in this chick posting travel tips. You see, I’m not a world traveler. I’ve been blessed to land in various parts of the globe but only because I follow the one I love and Doc ends up in some pretty remote places. The truth of the matter is that I’m a home body. Maybe that’s why travel tips are important to me. Traveling can make me feel out of sorts. Each time I take a trip and learn something that makes it feel, well…homey, I want to share. Such was the case a few weeks ago. I was traveling out of state for a conference and couldn’t help but jot down a couple of the things that I want to remember for my next go around. Yup, that’s right. Next time I’m packing a pillowcase from home. I stayed in three different hotels over the course of six days. The hotels were lovely but two of the three had the scratchiest pillow cases I’ve ever encountered, bringing my own is an easy fix. Cramped flights, heeled shoes, and pregnant luggage left my bod in need of stretching. By the time I got to the first hotel I felt like a Slinky that had been in storage far too long. I am by no means a Yoga expert but a few stretches can go a long ways toward getting this Slinky mobile. My first downward dog resulted in an unfriendly encounter with the hotel carpet. Yoga socks are light weight, easy to pack and a terrific preventive measure for “Slinky slippage”. This one’s a no-brainer. It’s just that I’ve forgotten mine before. This time I remembered and I was remarkably glad I did. I’m not a germ-a-phobe but the sneezing, coughing, nose blowing souls I met throughout out the trip lent gratitude to my heart every time I whipped out my sanitizer. Let me go peek and see what scent this last bottle was. Too funny. It’s called Stress Relief! No wonder I appreciated it. Here’s a link from Bath & Body if you want to check it out. I jot these things down when I return from trips (because I can guarantee the last thing on my mind before my next trip will be, “Do I need a pillowcase?”). As you cultivate your own travel tips write yourself a reminder and stick it in your luggage. You can also use a travel app like Packing Pro to log your personalized packing list. But the best strategy is to acquire the items and put them in your luggage before it goes to storage. That’s it DoAhead’s, a couple little things to make home away from home more pleasant! 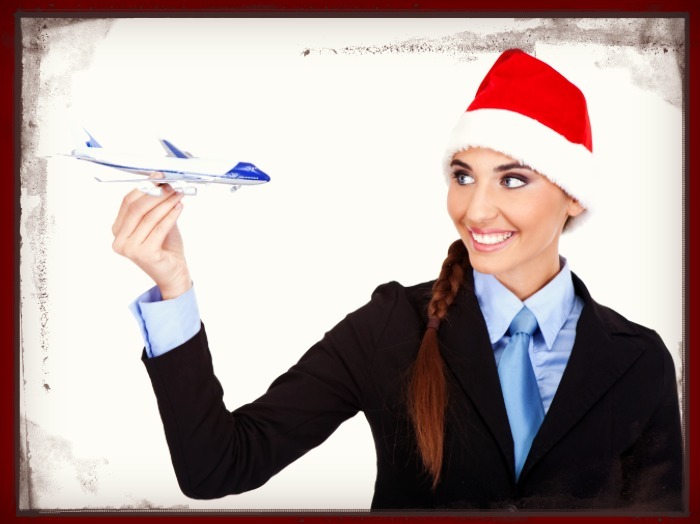 Here’s hoping you have safe and comfortable Christmas travels. Great post Cindy! I can see you sliding across the floor! Getting ready to take flight next week and I will be thinking about you and your tips! Oh yeah! I hope you have an amazing trip Jodie! Blessings to you and yours this Christmas!